If you’re a PC gamer and still use a 32-bit processor, now might be a pretty good time to consider planning your next build on a 64-bit platform. Battlefield developer DICE posted a tweet earlier today revealing they will have Frostbite-powered games in 2013 that will only work with a 64-bit operating system. The tweet comes from DICE rendering architect Johan Andersson, who further suggests that Windows 8 would be a great upgrade later this year for anyone still on a 32-bit version of Windows. That is, of course, if you already have a 32-bit processor. Otherwise that would need to be your first upgrade if you want to play upcoming Frostbite-powered titles. It’s unclear exactly what titles will require a 64-bit system but it wouldn’t be unheard of to think that Battlefield: Bad Company 3, Battlefield 4 or even Mirror’s Edge 2 could all qualify. 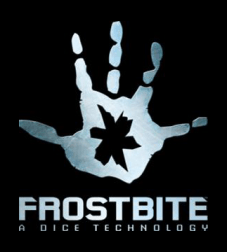 Frostbite has already been used on a number of games from EA including Medal of Honor: Warfighter and Need for Speed: The Run. Shack News points out that the only 2013 Frostbite title to be confirmed thus far is Command & Conquer: Generals 2 which could very well be a candidate. In a related note, Steam’s Hardware & Software Survey shows that 55.87 percent of users are running Windows 7 64-bit while another 6.51 percent still use Vista 64-bit. On the flip side, 15.46 percent of gamers still use Windows XP 32-bit while more than 20 percent of Windows 7 and Vista users have a 32-bit copy of their OS.